Cryptocurrency—a digital asset that uses cryptography to secure all of its transactions, making it nearly impossible to counterfeit—is moving into the mainstream, receiving coverage from major financial websites such as Forbes and Bloomberg, as well as increased attention from serious financial institutions, and experiencing wider availability in trusted markets, such as the world’s largest futures exchange, Chicago Mercantile Exchange. As the price of Bitcoin and other cryptocurrencies continue to fluctuate and and news stories of cryptocurrency hackers increase, investors have to be more conscious of the huge opportunities and large risks in this market. Understanding these risks and rewards of cryptocurrency is vital for everyone wanting to make money on this exciting new form of investing. Leap into cryptocurrencies with a full understanding of what you’re investing in. 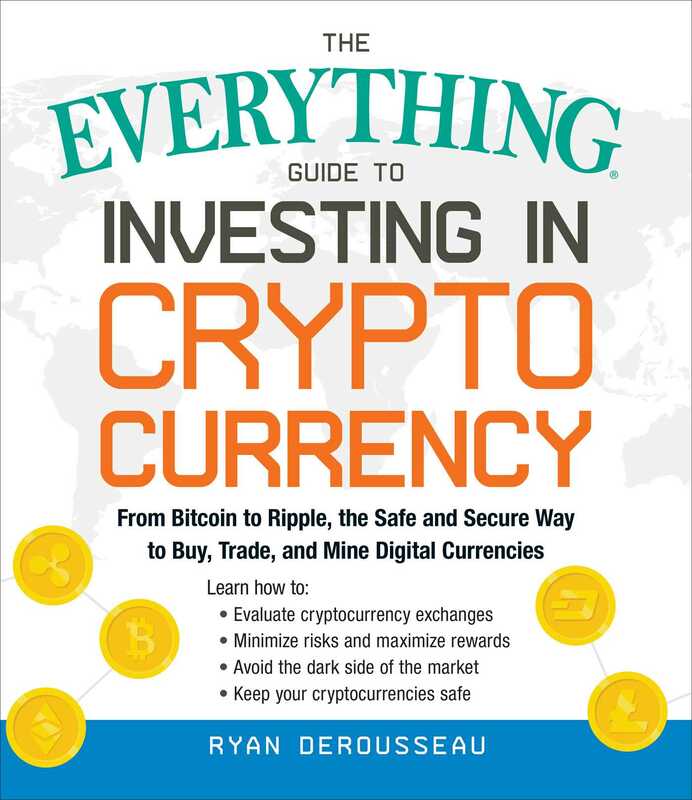 With the help of The Everything Guide to Investing in Cryptocurrencies, you’ll maximize your gains and minimize your risks in this radical new frontier. Ryan Derousseau first began researching bitcoin in 2013 when people thought it was just a weird currency used by hackers. There wasn’t much to invest in then, but as a concept, Ryan was sold and continued to follow bitcoin and other cryptocurrencies as they grew to become the hot investment of our time. With over a decade of experience writing about investing, Ryan’s work has been read widely in Fortune, Money, CNBC, BBC, Fast Company, and US News & World Report, among many other national publications.